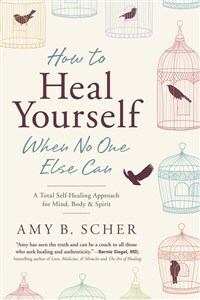 Amy B. Scher is a leading voice in the field of mind-body-spirit healing. As an energy therapist, Amy uses energy therapy techniques to help those experiencing illness and those in need of emotional healing. She has been featured on healthcare blogs, CNN, Curve magazine, Elephant Journal, and the San Francisco Book Review. Amy was also named one of Advocate’s “40 Under 40” for 2013. She lives in California.